Right outside what looks like a friendly home. Perhaps somebody inside could call a truck or maybe even help fix it. Go and knock on the door. Copy the necrophobia_prequel_1 file into your …\Steam\SteamApps\common\Half-Life 2\ep2\maps\ folder. Open the console and type map necrophobia_prequel_1 and now press ENTER. I was pretty critical of this in my video (see above) but overall I did enjoy it. I found too many unlocked/suddenly locked doors for my liking and I also felt the jump-scares weren’t very effective. 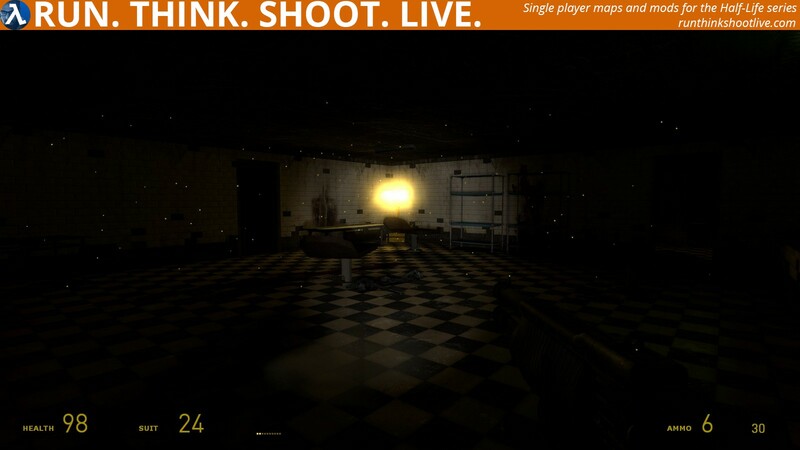 I mentioned in my analysis that directing the player’s attention is perhaps the hardest thing to do in a horror setting as one look away at the wrong time can ruin the atmosphere or at least not increase it. The combat was fairly fun although in these types of settings you don’t get a smooth progression of enemies as you are limited to pretty much zombies. The same for the weapons. 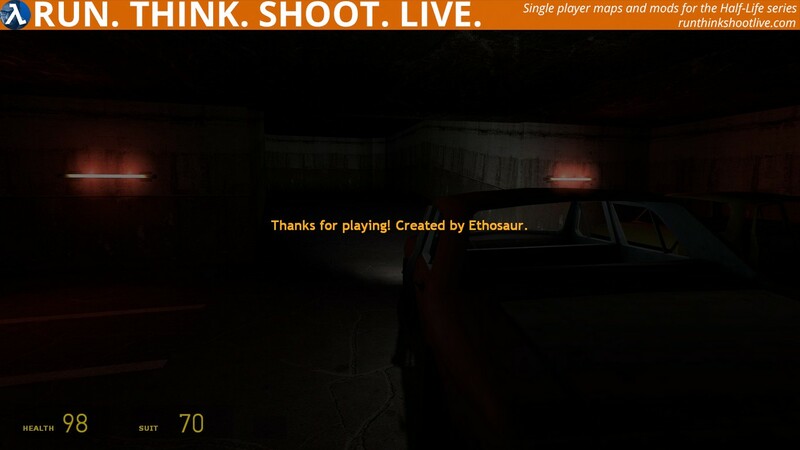 I felt that this map need more direction for the player as I often found myself going in directions I would need to do again because Ethosaur had decided I should go another first but didn’t communicate that to me or at the very least block me somehow. I’m not really a horror fan and scare easily but this didn’t scare me very much. There’s also too much darkness, and yes, I understand that not seeing something make it much worse but simply dark areas don’t automatically make something scary. 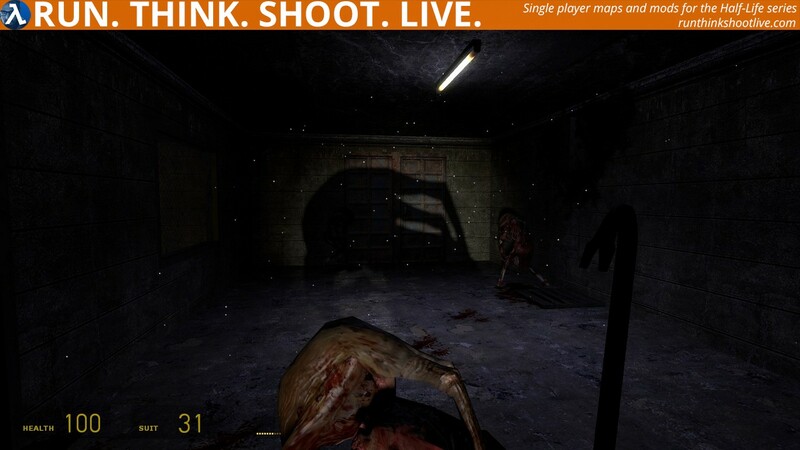 Playing this mod will provide you with around 20 minutes of fun and in general I think people will enjoy it but they won’t be scared too often – if at all. Thanks for featuring this map! I know it’s not as up to par as my newest necrophobia for the 5th Ville, but I think it might provide some entertainment even if its not particularly scary, as phillip mentioned. 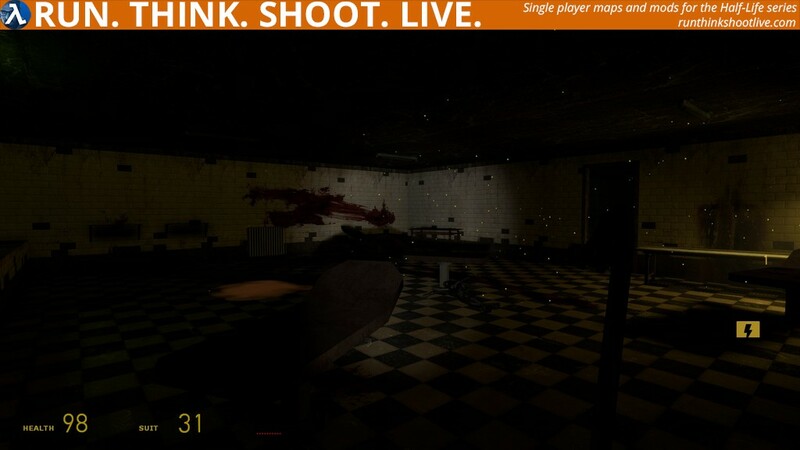 If you all enjoyed this and would like to see more I would be more than willing to release all my other horror maps which feature similar length in gameplay and visual style. Well please send them over to me, so I can post them. We want to play them. Ok I will get to work! Personally, I think that Ethosaur should really work on improving major technical and gameplay aspects of his work before releasing new installements of the Necrophobia series. 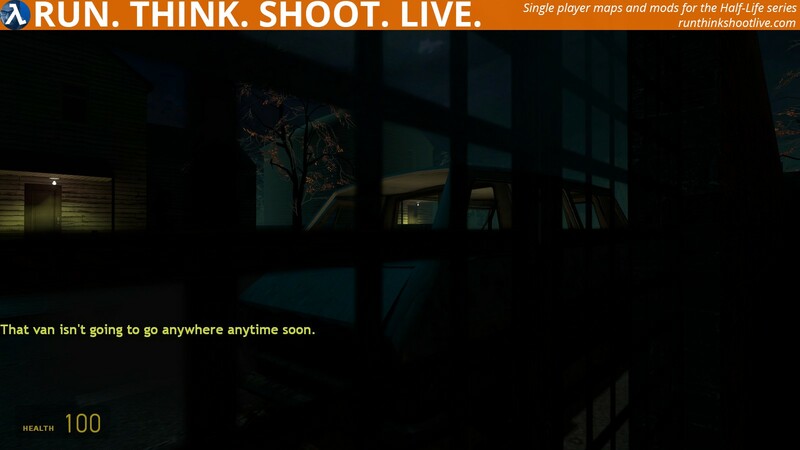 This map wasn’t bad, it never made me wish to turn off the game and go do something else. But there is definitely a lot of room for improvement and I do genuinely believe that if Ethosaur takes the points I make in this review and uses them to improve his content, the following maps will stand out quite noticeably. Again, I want to make this clear: Do Not take the review as an insult and, instead, focus on what you can improve in your future projects. Thank you. There are several types of horror which all stand out in their own way, and they all have their own faults. If I were asked to classify those, I’d say: “Jumpscares”, “Dread / Suspense” and “Unexpected”. The first two are self-explanatory, the third is more like a mix of them. “Unexpected” horror is, in my opinion, similar to jumpscares, but it doesn’t make the player bounce up and yell at the top of their lungs. Instead, it hits you with realization, it makes you frightened, but only for a second. For example, seeing a face pop up on your monitor is a jumpscare. Realizing that there’s somebody staring at you on the other end of a hallway is “unexpected”. It doesn’t make you jump up too high on your seat, but it makes your heart go ‘BDUMP’ once and your breath stops for just a moment. Now, to the point. I believe that Ethosaur managed to make the “unexpected” stuff well. A lot better than the jumpscares we see. The floor breaking under you is a cliche on its own, but it still works. So do the lights turning off and the occasional door slaping into your face when you’re about to open it. Black barnacles are also surprisingly good at catching and scaring you in dark lighting. There were a few times when I was walking up the stairs with no idea that there was a barnacle tongue in front of me, and those tiny scares (that only last 1.5 seconds) were well-made. It’s a shame there isn’t a lot of them. 1. The atmosphere isn’t scary. The best way to make the place you’re in frightening is to experiment more with lighting and try to see how professional mappers / game makers manage to make the player feel unsafe. Using the right soundscapes helps, since ambient noises are a big part of the horror. 2. You always expect something to happen in long corridors. Especially if they have a door at the end or several doors to the sides. This is self-explanatory: try not to fit into horror cliches and make sure to stand out. 3. Making zombies black doesn’t make them scarier. This might be my personal opinion, but I don’t think changing their color makes them any more or less scary. This might just be to symbolize that they aren’t zombies but are, instead, “the devil’s helpers”, if that’s what the lore implies. But either way, a custom skin/texture would work a lot better. I suggest looking into that (games like Garry’s Mod have a lot of great content which could fit). 1. Fast zombies aren’t fun to deal with in inclosed spaces. There were several rooms like this and they are honestly just not fun places to be in. Fast zombies are meant to be dealt with in open spaces. When you’re in a single, square room, there’s not much you can do to avoid getting hit constantly. 2. The map DESPERATELY needs more ammunition. Perhaps this is because I played on hard, but there were moments when I had to fight a lot of zombies with only a crowbar, and this really isn’t fun. Simply placing more item crates and setting some of them to only give out ammo would solve the issue. 3. It’s easy to get used to the supply ‘jumpscares’. You see some useful items, you go to get them and then something pops up either midway or after you’ve taken them. This happens at nearly every item cache and it becomes expected. It’d be better if this only happened a few times throughout the map. 4. Fighting against a poison zombie isn’t even slightly dangerous. As Crowbar (I think?) mentioned it in the AnyVilleVille review, fighting against poison zombies isn’t dangerous at all unless you’re very stupid. They should always be paired up with other types of enemies. 1. 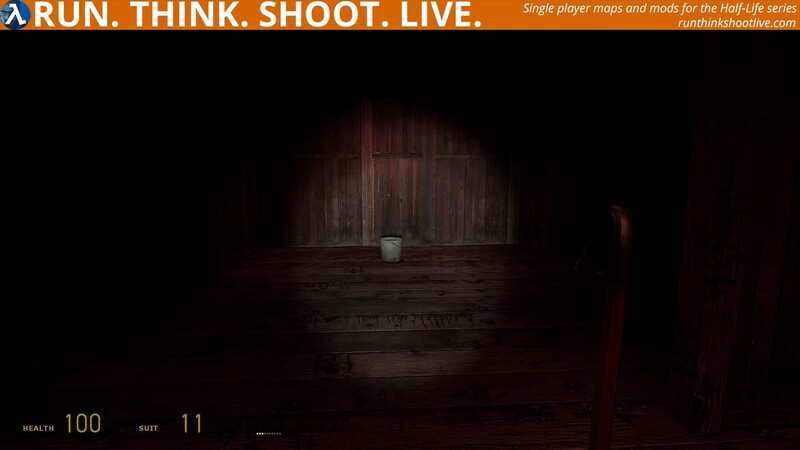 Knowing where the player’s gonna look. There were way too many times when I happened to look away when something scary happened. So, I’m going through a corridor, I look back to make sure nobody’s behind me, and at this exact moment something scary happens. Then I just look in front of me again, without being scared at all. I’m not too sure how exactly combatting this would work, since it’s more of a gut feeling than anything. 2. Expect the player’s flashlight to always be on. There were a few times when something changed while the lights were off, but ultimately I just saw things appear and disappear right in front of my face because I had the flashlight on. 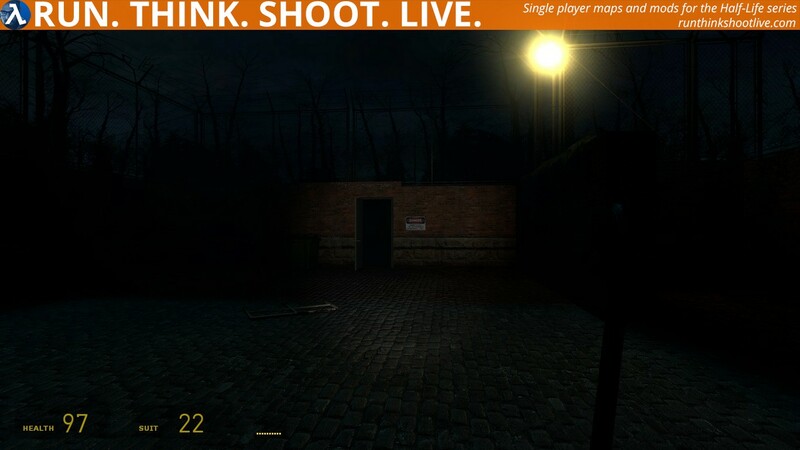 If you want complete darkness, use env_fade or something similar. 3. Jumpscares aren’t about things popping in and out. At the very least, there should be certain effects for things appearing and disappearing. Black G-Men and creepy sillhouettes aren’t scary when you clearly see them get turned on and off like they’re a lightbulb. 4. There’s no need to make things green to make sure I interact with them. This is self-explanatory. Just use sprites and try to guide the player using stuff like buttons and levers that we’re all used to. 5. Make sure your lighting is consistent technically. 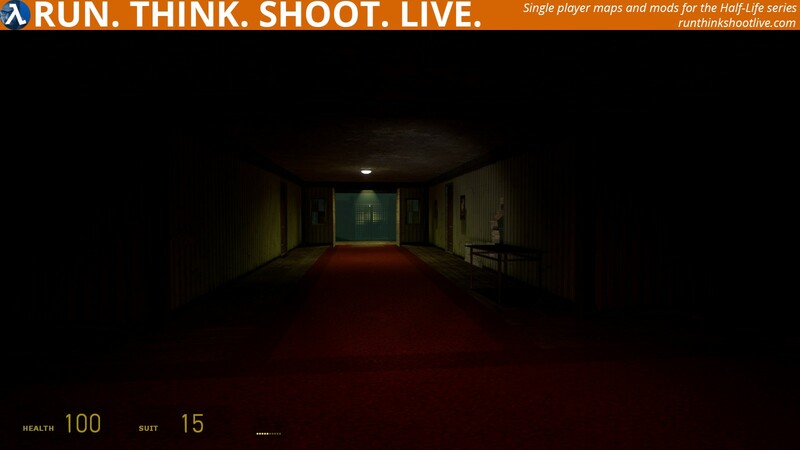 There was one corridor that used yellow lamp models with blue sprites and red light entities. Really? Everything should realistically be one color, otherwise it simply looks weird (Unless that’s what you were going for). 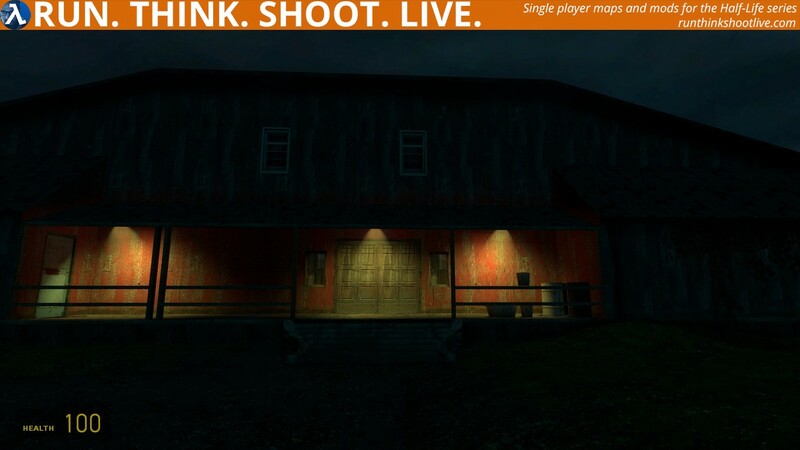 You should also be consistent with using sprites, point_spotlights, or both for your lighting. It just looks better that way, in my opinion. Especially if you use the same models but with different entities attached. 5a. Never use flat color lights. The light near the generator door is literally completely yellow, which it should never be. All lights tend to be very pale versions of white. If your bedroom lamp was literally yellow (255,255,0 on RGB), you’d rip your brains out. 6. Some fuel cans are red and can be blown up, but others are green and act as fuel you can use? Self-explanatory. If the red cans can be blown up, that means they also have fuel in them, so realistically, they should also be useable. 6a. To be fair… one gas can would’ve been enough to power the generator just to let me through. But this is more of a fun nitpick. Nothin’ you can do about video game logic. This isn’t something you should necessarily change. 7. Some zombies are black, but others aren’t? Also self-explanatory, also confusing. I think fast zombies and a few other exceptions just weren’t painted black in the ol’ Hammer Editor, and this creates inconsistency, which should be backed away from. 9. The final battle fadeout is done poorly. We don’t even get to press E on the car to escape. It seems that we simply get a fade-to-black and become motionless after we kill enough zombies. 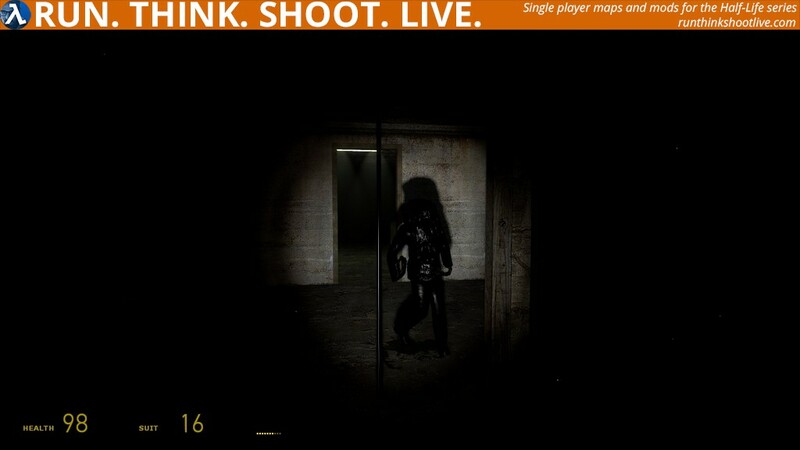 This is okay, but at the very least the player should also be teleported into a black room, so that they don’t get mauled by enemies while reading the credits. Learn from what I wrote (and what others will write) and make awesome stuff in the future. Good luck. Thanks for the detailed review, but I just want to notify you of something I should have maybe included in the description: This map was not made after the new necrophobia, it was actually made back in 2014, all I did was fix it up a bit so it works well for singleplayer. I have learned and improved a lot since then. That’s why it’s quality is not as good as my newer maps. 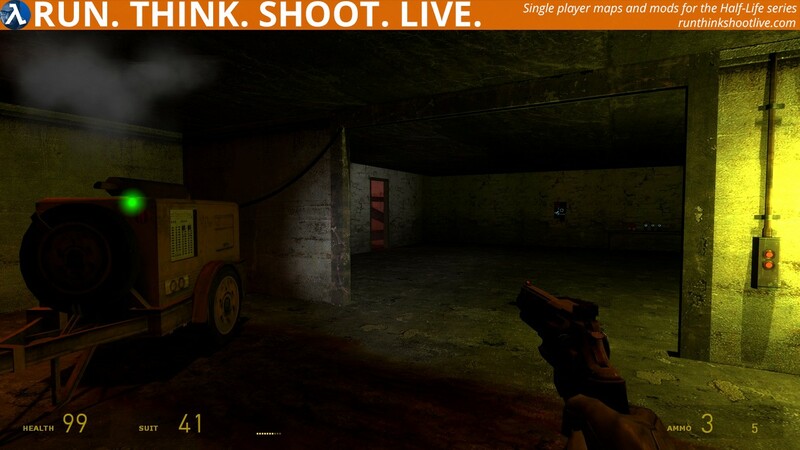 If phillip chooses to, another 2 maps from this series will be added which are a bit higher in quality than this one. Originally my idea of black zombies started out as a lore change, and later stuck with me troughout all my maps as “The devils imps” Also green items are a newer thing, which originates from my newest map, I just added it to this one so they would connect better. Of course even though this map might be old, I think I do have some things I can still learn from it to this day. Alright, I’m glad you replied. 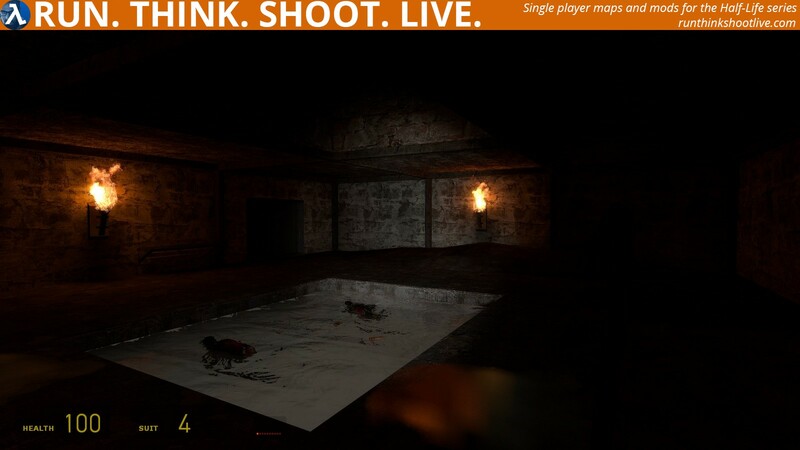 Your newer Necrophobia map is definitely a lot better than this one, I assumed it was made before your THC16 entry, but I didn’t think it would be as far back as 2014. Either way, I hope that there are still things you can take into consideration when making more maps. I suggest you make sure to note that this map has been made a long time ago and you’ve improved since then in the descriptions of these. I wish to upload a few of my old projects as well, and I’ll be sure to write that. 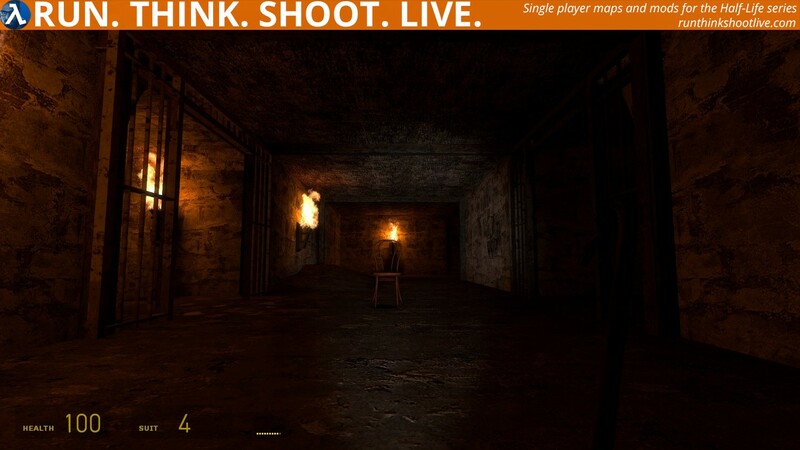 Necrophobia Prequel was a fun map to play and it feels like people were waiting for a good horror map. 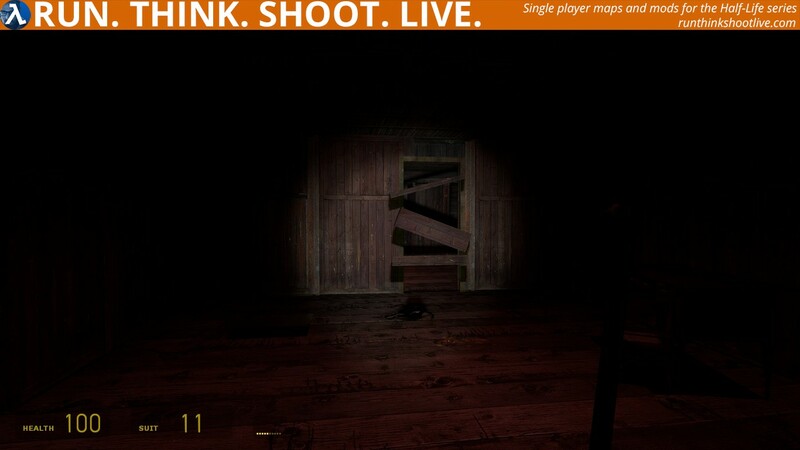 They are not very common because they are really hard to pull off but this one showed us how a horror map should be done. It was not completely perfect and had its things that need worked on but in general, it is a solid Map. This map managed to combine everything that a Half Life 2 map should contain and a horror atmosphere. Its puzzles were well done as you always knew what you were trying to achieve but there was always a feeling of uncertainty. There were simple things like wooden boards across doors to constantly give the player something to do and something to think about. Some puzzles took time but they were never super difficult that it would make the player angry. It was a good balance. The combat was different as many zombies would appear out of nowhere. This was necessary as it was a horror map and it needed the element of surprise. The enemies were strategically placed as when they did appear, you nearly always had time to think about what was going on. 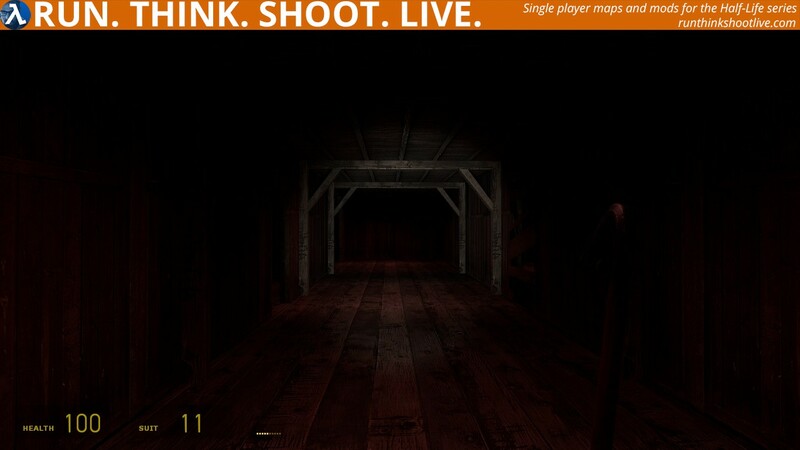 The map design in terms of gameplay was great however I feel the rooms could be more detailed and less boxy. 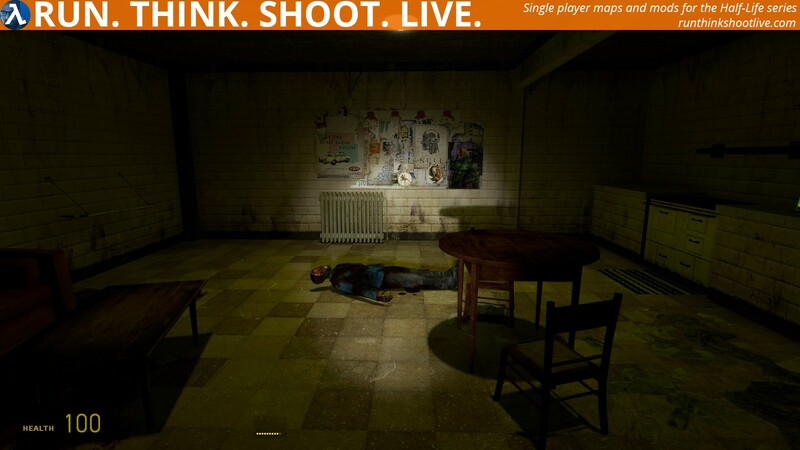 I’m sure it would only take an hour or so to go through the map adding more props and filling it up a bit more to make it a bit more believable in terms of location. 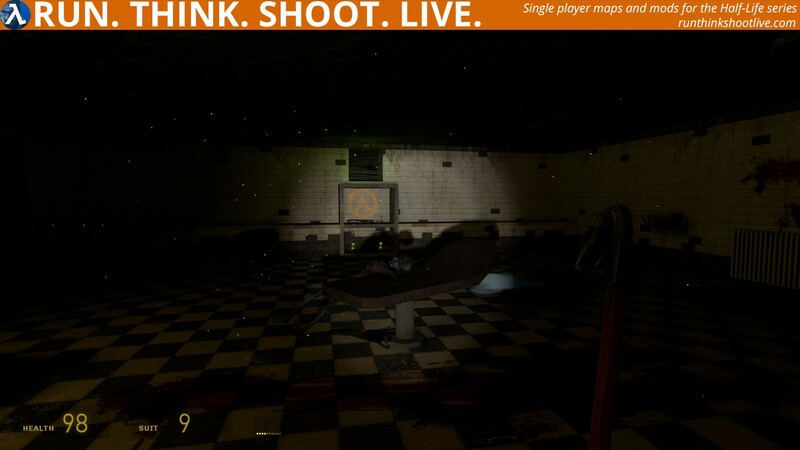 Another criticism I have is that towards the end, the horror atmosphere died and it went back to feeling like a “normal” Half Life 2 map. It would be great if this feeling and atmosphere could be maintained right till the end. The last thing in terms of things that could be worked on is the thing I’m always going on about. Narrative through words. I’m not a fan of narrative being written on the screen in text for the player to read. The best stories are mainly told through the environment and actions in game. The words were not too bad in this one but I still missed the words on the screen as the player relied on them for info (ie, telling if the generator is full). To conclude, this map is very enjoyable to me and possibly many others. I can see one or two people maybe not liking it as I think it may be personal opinion. It combined Puzzles, combat and horror all together and held them together until towards the end. It’s refreshing to see a good horror map and I am looking forwards to the next edition. Thanks Dolmo! If Phillip decides to add them, another two maps from this series will be added which feature a lot of improvements from the first one, I think you will like the second one a lot more in terms of detailing and horror factor. I must agree with you a bit on the text thing too, once you mention it I can see it taking away from the experience, but back when I added the text It was to try something new and maybe get some extra story telling. (Something I did for necrophobia THC5) I removed some unnecessary text for the second map but kept it mostly the same to the original as I wanted it to be. But anyway thanks for playing! Thank you for making it! You know how much i love horror maps! 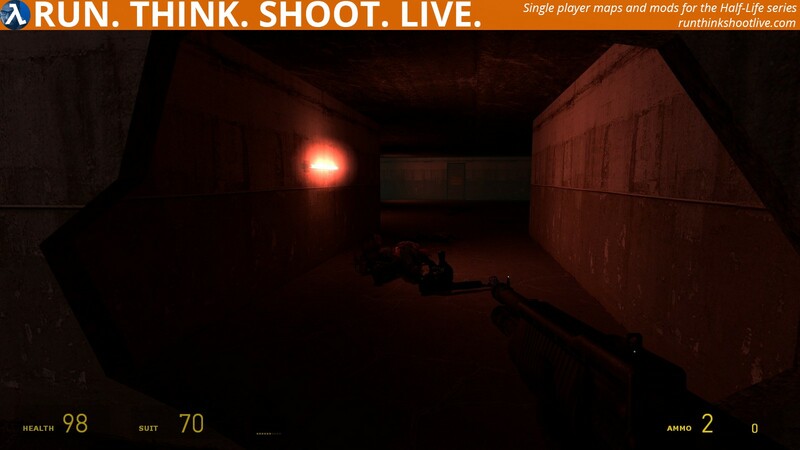 I liked some parts of the map, but I didn’t generally have fun while playing through. It could perhaps just be me not being a super huge fan of horror, but here’s my opinion anyway. I liked the black barnacles. Good idea, fantastic way to surprise the player. Some of the jumpscares were quite frightening, but they did get very tiring and expected by the end. Try to see how you can keep them fresh. I really liked how the map folded around onto itself. You always returned to old areas, this time with new ways to go, and you never really felt lost. That’s some unexpectedly nice flow you’ve managed to set up. The ambience needs work. It did feel kinda scary, with the whole darkness thing, but I never felt frightened or scared of moving forward. Also, as others pointed out, there were some huge inconsistencies with the light models, light entities and lighting in the room. 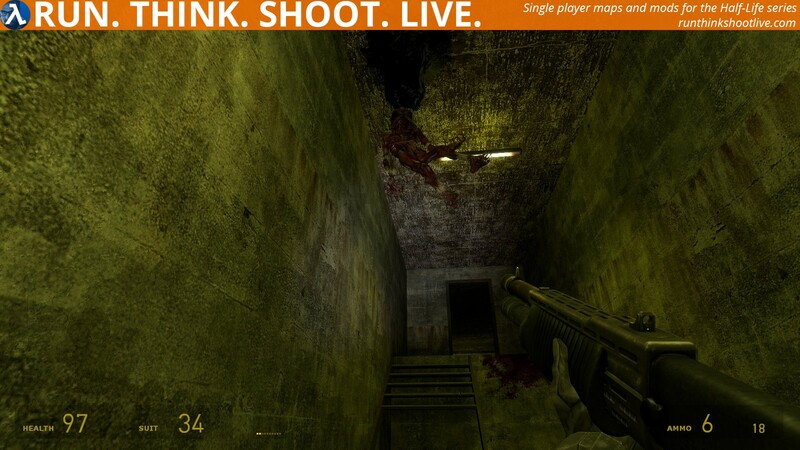 I hated the combat, fast zombies in tight spaces are just health-drains with no counterplay. I never experienced a lack of ammo as other people said, though, I always had quite enough to manage my way through. The zombies are not scary, not even if they’re black (Am I gonna get lynched for saying that?) 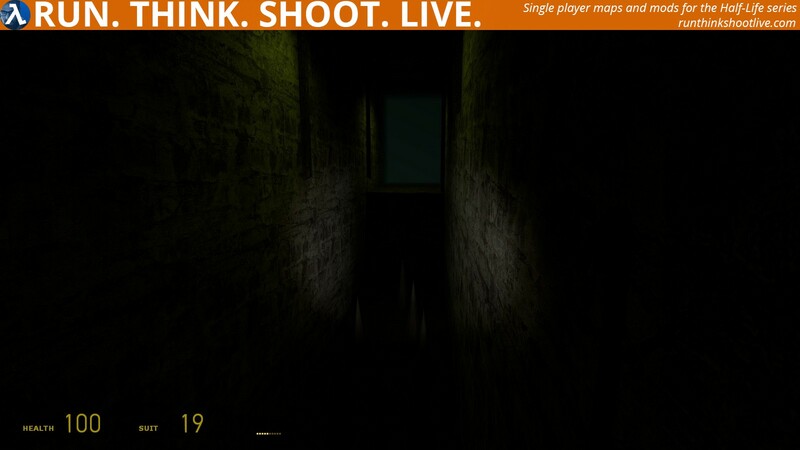 and they’re honestly way too predictable for a horror map. – The dark zombies don’t maintain their customization if you lure them into a barnacle’s trap. They turn back into regular zombies which doesn’t feel right. – The ending needed more to it. If your objective is to reach the car and escape, then the map should have provided a small driving section or at the very least a recorded scene for the ending. Still given there isn’t much new stuff to play right now this is definitely worth checking out. I do not very like horror game but this map is very good. The atmosphere of fear never left me. And difficulty is not easy. 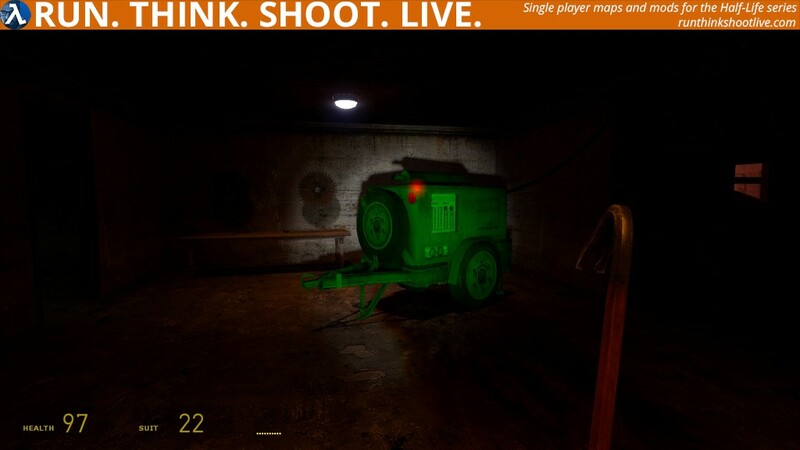 But I could not find 3ed canister with gas for generator and flying through the door on noclip. If anybody can write where is 3ed canister. Nice map, five stars. Each cannister is lighted up with a blue tinted light and particle effect. If you follow the path they are scattered around very noticably. First one in bathroom, second in the hallway that splits, go left, and thirdly follow the last path up to the room with the door that has the lambda sign by it, the last cannister is on the shelf. Thanks for playing my map and im happy you enjoyed it. More maps are to come! Personally I’m a fan of horror games so Necrophopbia Prequel was a fun ride. Atmosphere was somewhat eerie (as abviously intended) and some jumpscares were effective. 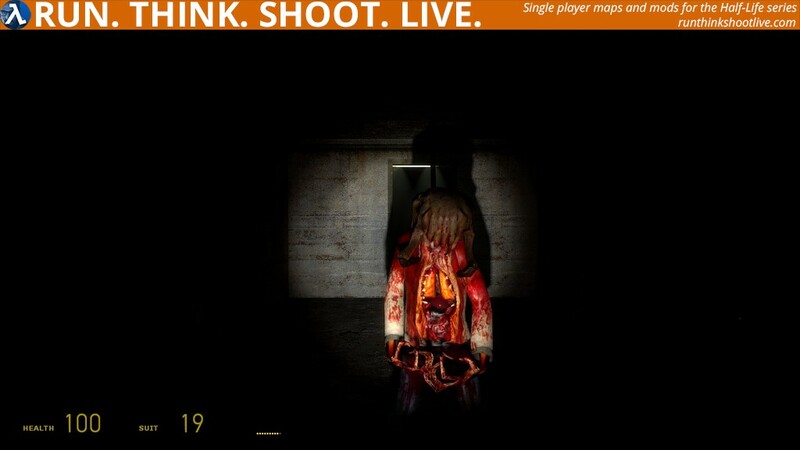 However, other jumpscares were missed because I happened to look in the wrong direction when the event occured. Color of lighting was sometimes odd but that didn’t bother me much. Health and suit batteries could be found in abundance, so the inevitable damage I took from the fast zombies jumping at you in small spaces wasn’t a problem. 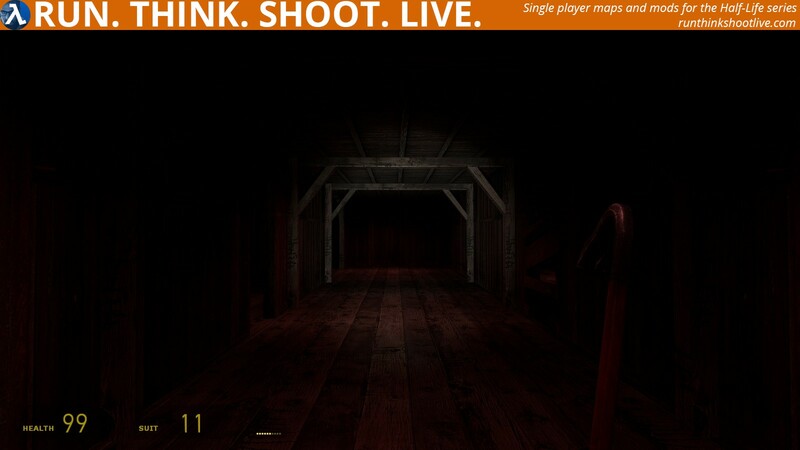 Play it now, especially if you’re a horror fan … ! OK so I have to say overall I like this mod. I liked it because I think it has many “old school” elements in HL mods, specially in HL scary classy mods. Like fetching for stuff turn on switches and so on. The story line is also quite simple but the maps never felt predictable. 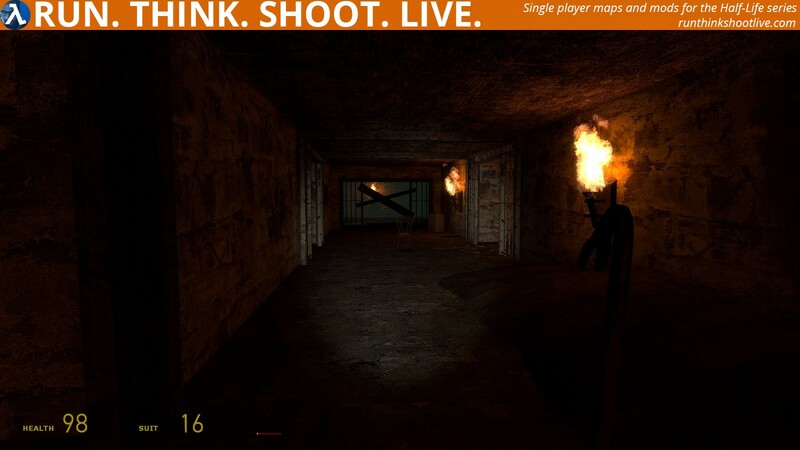 The scary assets are just OK and well they’re quite limited to the ones it only can offer the HL2 and the source engine. I mean heavy related to zombies and headcrabs. In conclusion I can say I had an ok entertaining time with it. So yeah its an OK PN to me.